BuyOnTheDip.com ~ Trading Stocks and Options! : SOY BEANS BABY!!! .... BUNGE (BG) hits new 52 week high! SOY BEANS BABY!!! 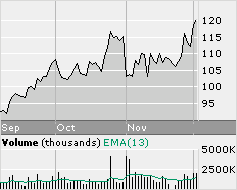 .... BUNGE (BG) hits new 52 week high! Our SOY BEAN play hit a new high of $122.47 today! BUY ON THE DIP ~ SOY BEANS! this is how the DIP LOGIC is supposed to work...buy down 10%+ from high, wait for new highs, take some profits. repeat.